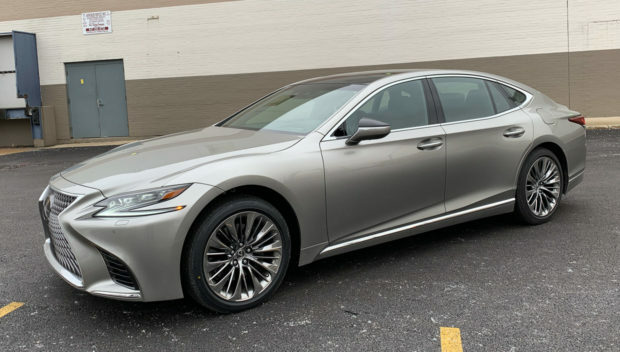 The week that the Lexus LS 500 turned up at our offices for review, Chicago was enduring an awful stretch of winter weather. From freezing rain, to snow and ice, to sub-zero temperatures, it wasn’t exactly the ideal week for driving or taking pretty exterior photos. 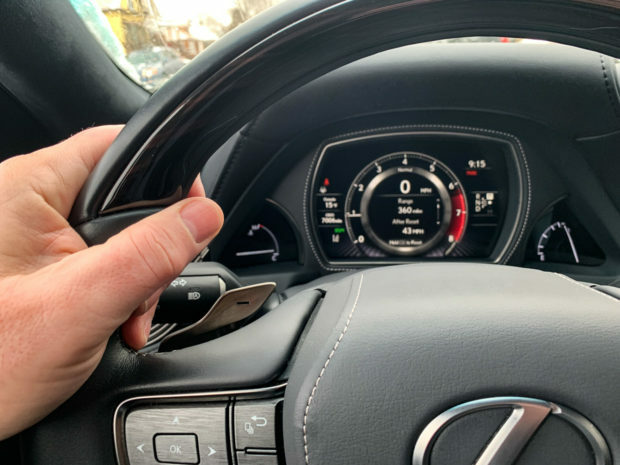 So rather than load up a review with images of car covered with dirt and road salt, I decided to focus my review on what it’s like to spend time inside this luxurious and extravagant Lexus, and it’s an environment that doesn’t disappoint. 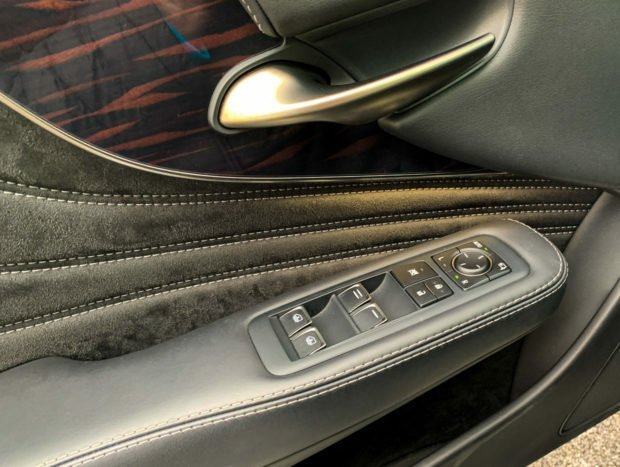 For starters, the new LS features one of the most striking interiors of any car on the market today. Sweeping, curvaceous lines pull your eye across the dashboard, offering a distinctive and bold look that is both elegant and artful. 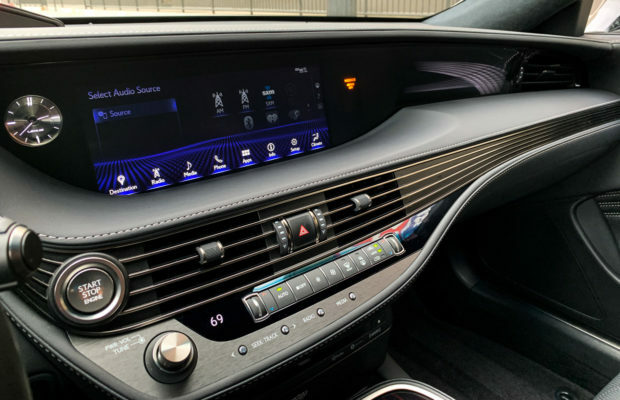 Surfaces are covered in rich leathers, with stitching just about everywhere, from every edge of the dashboard, to the cowl around the all-digital instrument panel. Equipped with the $12,000 Luxury Package, the LS’ cabin offers a truly luxurious environment for both the driver and passengers, with incredibly supportive and comfortable seating for all. 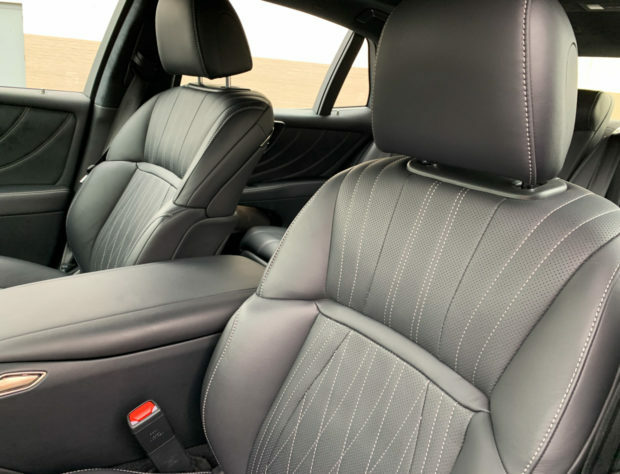 Each seat is elegantly stitched with an undulating pattern, and wrapped in rich, aniline leather. The driver’s and front passenger’s seats offer a whopping 28 different ways to adjust them, and include heat, cooling, and a multifunction massage feature to keep you refreshed no matter the traffic and frustration that might sit just outside the window of this luxury sedan. If you can’t find a way to get comfortable in these seats, I’d be shocked. It’s not just the materials and styling that make the Lexus LS a wonderful place to escape the cold and traffic. 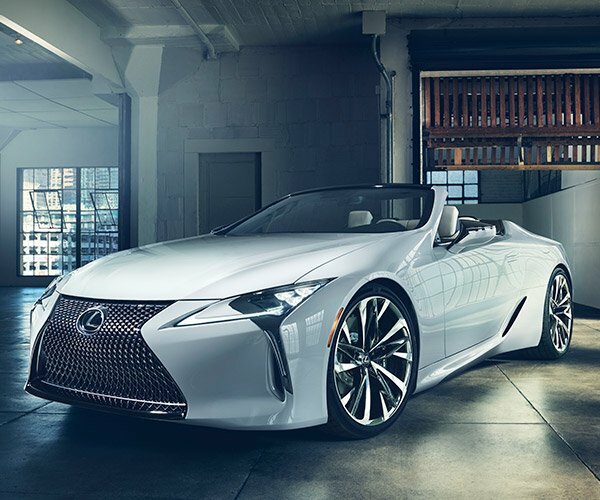 Thanks to an all-new platform architecture, and some very good suspension engineering, the LS 500 is smooth as butter, while still feeling controlled. Gone are the days of the mushy, boatlike handling of LSes of yore, and in its place is a ride that sops up bumps, without significant body roll, and offering drivers a surprising connection to the road. The adaptive variable air suspension not only adjusts its damping to varying driving conditions, but can automatically raise the car when entering and exiting the car, then hunker down when driving. Equipped with all-wheel drive, the car handled itself brilliantly on the slippery and ice-cold pavement. Did I mention the new LS is powerful? A gentle application of the throttle, and its 416 horsepower, 3.5-liter twin-turbocharged V6 comes to life, working in perfect harmony with a smooth-shifting and efficient 10-speed automatic transmission. 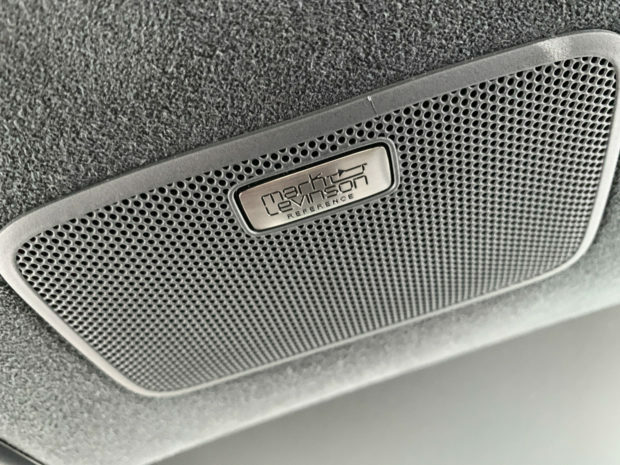 In Normal or Comfort modes, the LS 500 launches fast and offers tremendous passing power. 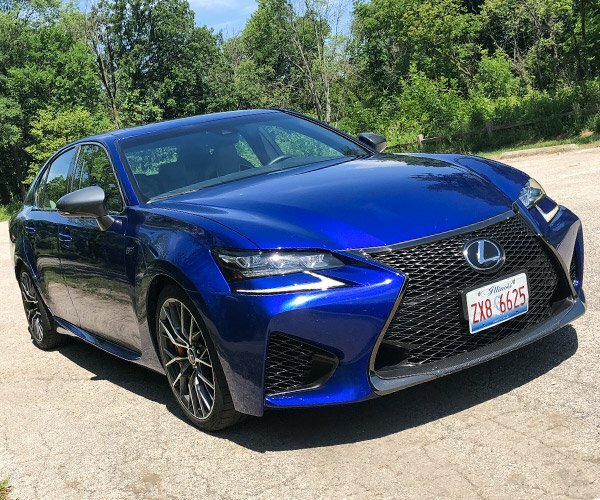 In Sport mode, its throttle mapping, suspension, and steering all tighten up, and a digitally-augmented exhaust note pushes a surprising roar into the cabin under heavy pedal application. 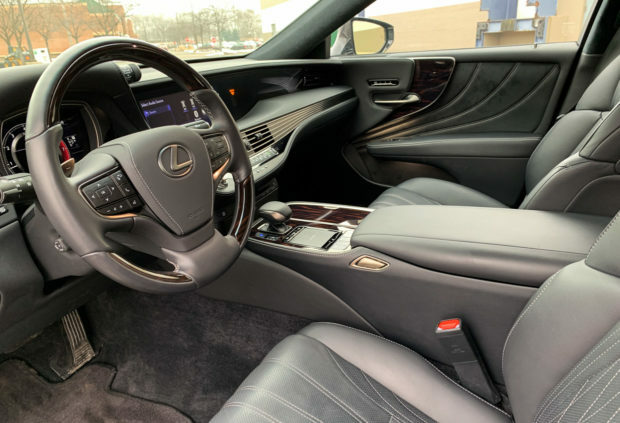 Aside from the enhanced exhaust note, the interior of the LS is whisper quiet. Not a peep of unwanted noise penetrates the cabin, adding to the senses of tranquility and sophistication. 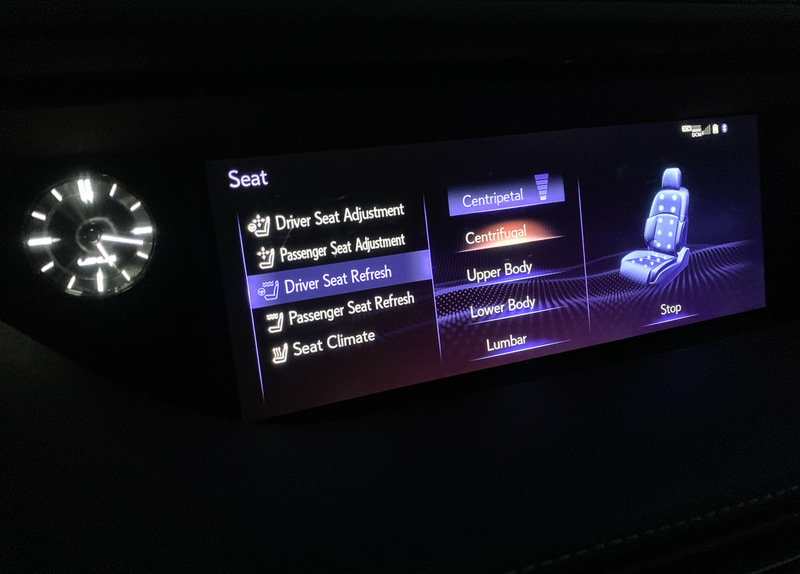 Lexus’ deft combination of ride quality, noise and vibration control, and premium materials creates a true sanctuary from the outside world. 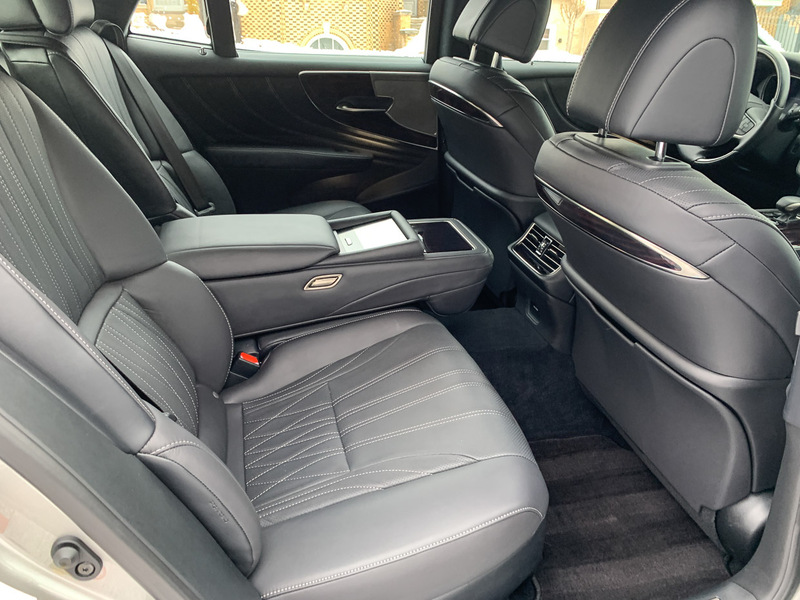 In an executive sedan, being driven is as critical as driving, so rear seat passengers enjoy plentiful comforts, with 18-way power-adjustable seats, each offering heat and cooling, a comfy headrest, and the ability to recline. Opt for the Executive package, and get a right-rear ottoman, and massage functions too. Floating overhead is a dual-panoramic roof with separate shade controls for front and rear seat passengers. 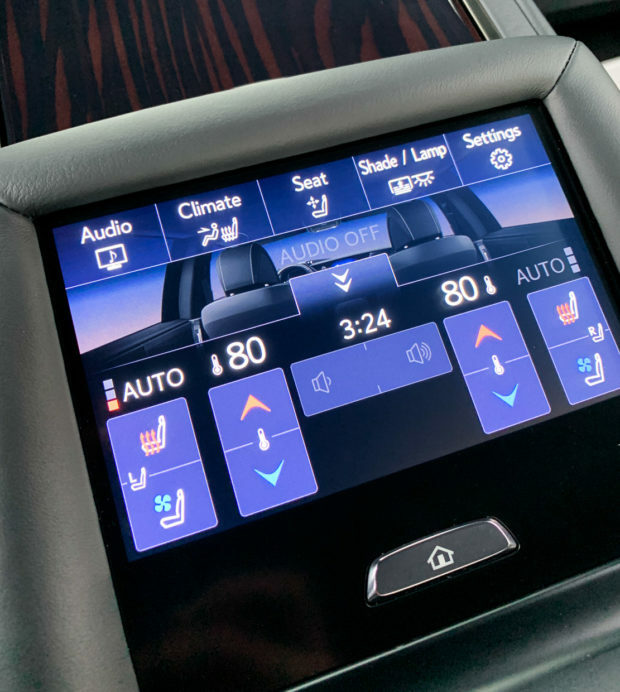 Each rear seat passenger also gets their own independent climate controls in the center armrest, or they can be automatically regulated through a driver’s setting known as “Climate Concierge.” Rear seat passengers also get their own volume controls, and get power side window sunshades. 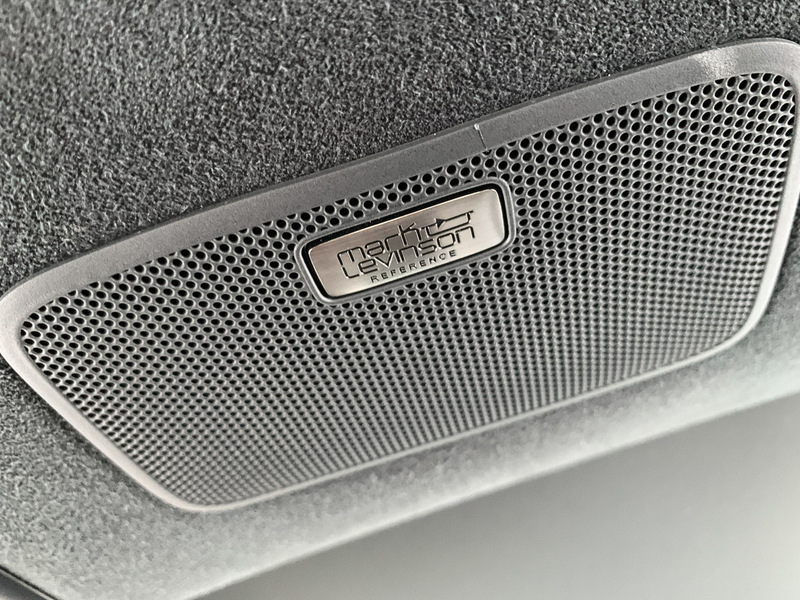 Lexus offers the LS with a Mark Levinson Reference audio system, which packs a whopping 23 speakers and 2400 watts of power. Like other Mark Levinson systems, the sound is crystal clear, offers incredible dynamics, and studio-like imaging. It’s not quite as impressive as the sound in the LC 500, but it’s still an extremely good, audiophile-grade sound system. Toyota/Lexus’ excellent safety technology continues to evolve in the LS, now offering full-speed adaptive cruise control, pre-collision safety with pedestrian detection and active braking, active steering assist, road sign assist, blind spot monitors, rear cross-traffic alert, and something I’ve never seen before in any car – front cross-traffic alert, which can warn you before you accidentally pull into an intersection when a car is coming from either side. 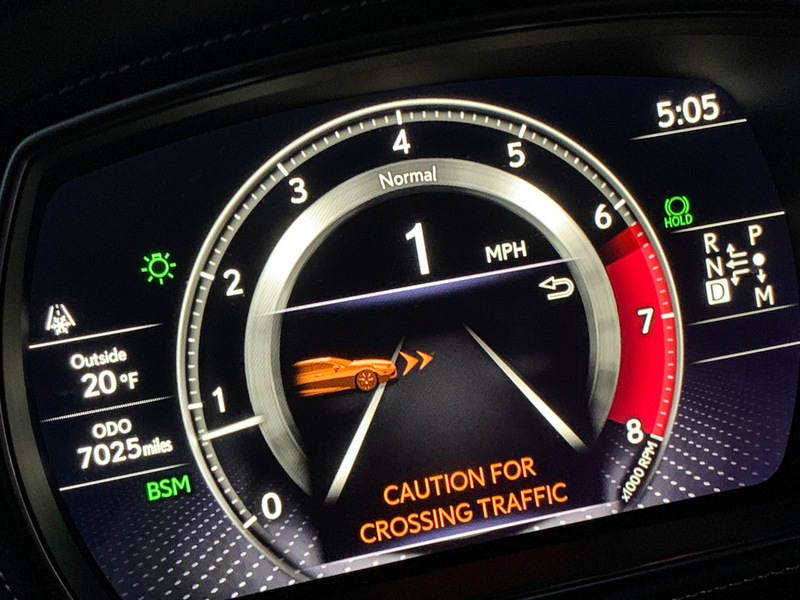 Information from the navigation, sound system, and safety systems can all be displayed on the car’s oversize 24″ heads-up display too. 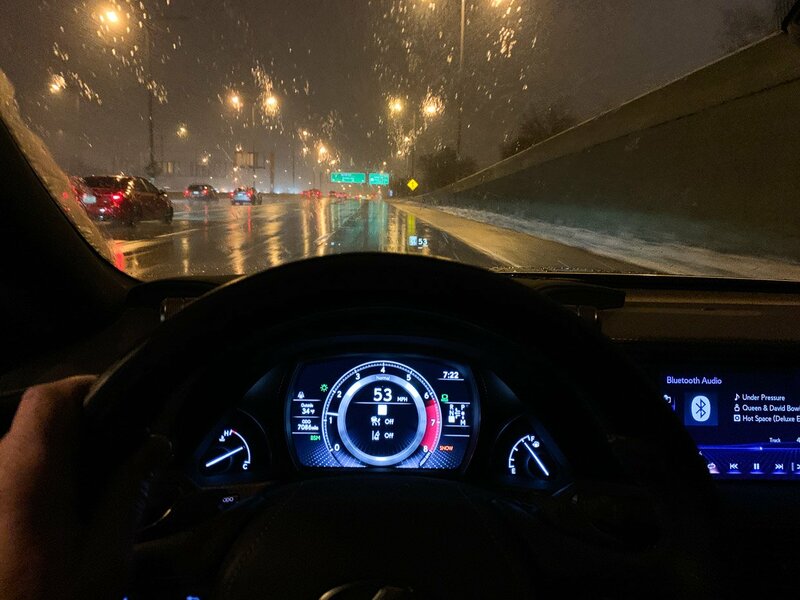 Driving in nasty weather is never fun, but at the end of each wintry day that I had time behind the wheel of the new LS 500, I looked forward to the next one. 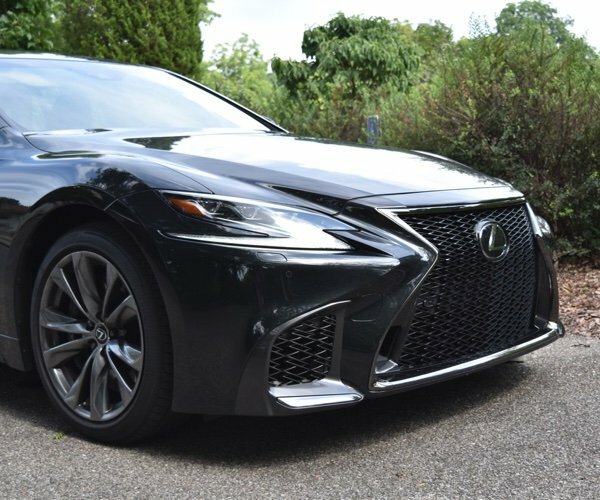 Lexus has bestowed the latest LS with a wonderful environment for its driver and passengers, and upped its game with dramatically improved handling, ride dynamics, cutting-edge safety tech, and a plethora of creature comforts. Anyone thinking about a BMW 7-series or Mercedes S-Class owes it to themselves to put the Lexus LS on their test drive list.